An excellent new hire onboarding checklist isn’t about ticking off steps — it’s about designing your employee’s journey so all the roadblocks to success have been swept out of the way. The new hire onboarding process is your chance to make a great first impression and to create a strong bond with a new employee. An effective onboarding process needs to help new hires learn the ropes and feel like part of the team as quickly as possible. But in hyper-growth environments, it’s easy to lose track of the details, especially as you mix on-site and remote employees. A new hire checklist can save the day. That's why new hire onboarding can't be left to chance. According to a survey by The Aberdeen Group, best-in-class companies were 53% more likely to begin the onboarding process before the new hire's first day. This process may take time, but it's well worth it. Past studies by The Aberdeen Group have shown that new hires who used a well-documented onboarding process were 54% more productive. These same organizations that devoted time to developing a standardized onboarding had retention rates that were 50% better than their competitors. 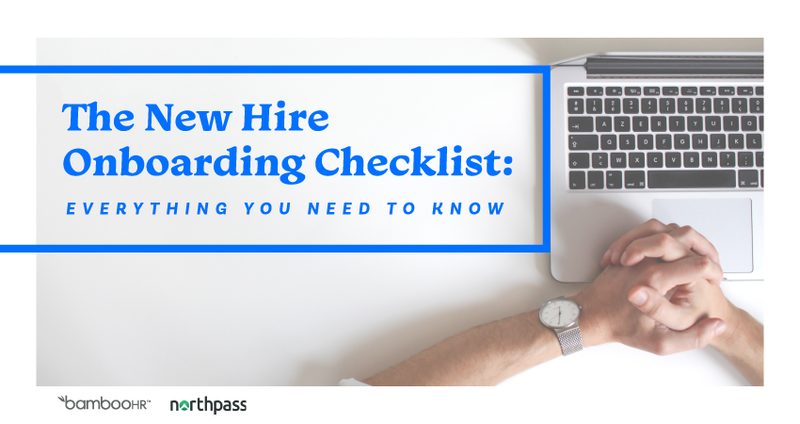 Download our onboarding checklist to start giving your new hires the best start possible and the greatest chance for success.